Join thousands who use the ASSIST, and experience the thrill of better golf with longer, more accurate shots, and lower scores. The patented ASSIST, with its precision bent shaft, exaggerates the release with a force 16 times greater than a 6 iron to teach the correct hand action for longer straighter shots. Plus it eliminates slicing. The ASSIST is the world's best selling swing trainer with hundreds of thousands in use by PGA, Senior PGA, and LPGA touring pros, as well as golf schools, universities, and amateurs of all skill levels. Whether you're at home, in the office, or at the range, swinging the Amazing ASSIST a few minutes each day makes golf easy and enjoyable. The ASSIST comes with instructions written by a PGA Teaching Professional. GRIP: The exclusive training grip places the thumb and Index finger V's in the traditional 11 o'clock and 12 o'clock positions, resulting in maximum muscle interaction. RELEASE: The release action is a two-part motion involving the arms, shoulders, and rotation of the hands. The dynamics of the ASSIST provides a controlled release motion to improve distance and accuracy. The dynamics of the ASSIST automatically helps you learn the perfect swing- guaranteed. The ASSIST develops muscle memory to help you groove the perfect swing. The ASSIST teaches you the correct release so you'll hit straight shots without hooking or slicing. The ASSIST strengthens your golf muscles to dramatically improve your distance. The ASSIST's training grip teaches you the proper grip. 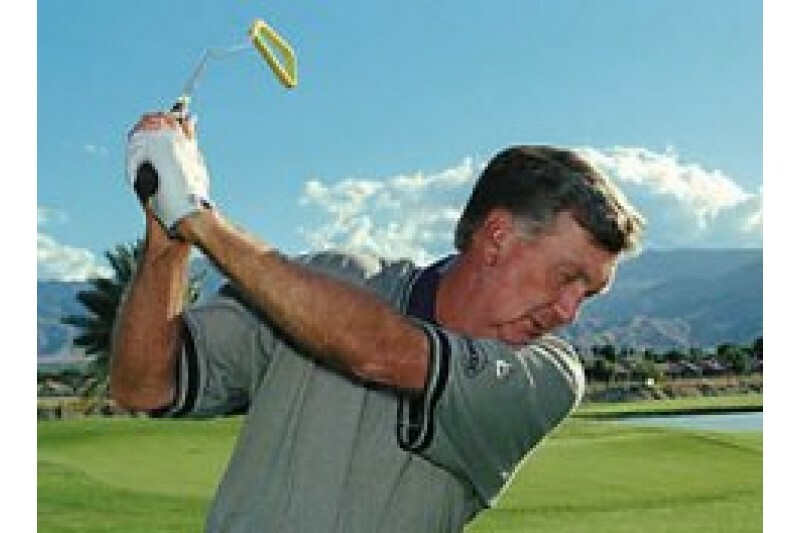 Simply swing the ASSIST a few minutes a day to improve your swing and lower your scores. The ASSIST does it all for you. Use it anywhere, any season. You'll get immediate & lasting results! With the ASSIST, you'll enjoy great golf! 500,000+ now in use worldwide. 100% Money-Back Guarantee.